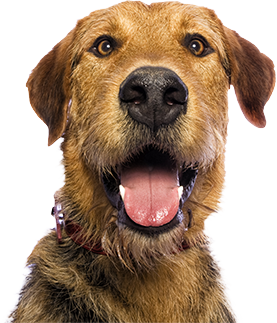 Canine Company® is a family of pet-loving professionals dedicated to facilitating rewarding, lifelong relationships between pets and their parents. We do this by offering products and services that keep pets happy, healthy and safe while providing their parents peace of mind. Canine Company provides the Northeastern United States with Invisible Fence® Brand pet containment solutions, Manners in-home obedience training and newly introduced Mobile Pet Spa and Pet Visiting (in limited markets) and excellent pet products that Canine Company employees trust and rely on for their own pets. Whether your passion is to work hands on in the field with clients and their pets, or in another professional field of expertise such as IT, Finance, Operations, Sales, Marketing or Client Service, you will experience the vitality of a culture that is entrepreneurial and innovative as it supports the hard work and dedication of each pet loving employee. Questions about our Careers? Check out our FAQs. Hear why our employees love working for Canine Company! Click here. We operate in the Northeastern U.S. from New Jersey to Maine. Our headquarters is located at 493 Danbury Road, Wilton, CT 06897. Where does the job take place? Dog Trainers, Installers and Groomers are hired in specific regions in NJ, NY, CT, MA, ME, VT and NH - please check the job listings for openings in your region. Our employees travel to our individual clients' homes to provide these services. Pet Sitters are currently only in Fairfield County, Connecticut. Yes - all of our positions require a resume to be submitted for consideration. Having issues submitting your resume? Try a different web browser, some older browsers have issues communicating with our servers - for example, if you are using Internet Explorer, try Google Chrome. Are you submitting via a Mobile Device? Try submitting your resume through a computer. How old do I have to be to work for Canine Company? Considering a part-time Pet Sitting position? We offer morning, mid-day and evening visits to our clients 7 days a week; 365 days a year. Your individual schedule will be discussed during a phone-screen. When will I hear back after I submit a resume? Due to the volume of candidate submissions for our openings, we cannot reply personally to each one. However, if there is a match between your information and an opportunity at our company, we will contact you in a timely manner. If selected, a candidates' experience and skills may influence pay scale, because of this variation, salary will be discussed during a phone-screen.